When I taught theology at St. Dominic Savio Catholic High School in Austin, Texas, one of my most favorite lessons of the entire school year was when I taught the students about the Four Cups of the Passover meal. After studying the Passover meal in some classes at Franciscan University of Steubenville and combined with reading Brant Pitre’s fantastic book, Jesus and the Jewish Roots of the Eucharist, my desire to explain to my students the importance of the Four Cups, the Last Supper, and the Cup of Consummation was of utmost importance, even though it wasn’t technically prescribed in the curriculum. At the time of Jesus, there was the sacrifice of the lambs in the Temple, but also the Passover (pasch) meal. The Passover Seder or “order” featured in the meal four cups of wine. Within the Passover meal, there were two regulations that had to be followed – first, before the lamb was to be eaten, several hours of fasting were required, beginning around 3:00pm. The fasting we do as Catholics before we receive the Holy Eucharist in Mass is a similar function to the fasting in the Passover meal. The second regulation was that the drinking of the four cups of wine was deemed mandatory. One might ask why the wine was so important, but the answer is unclear since the traditional Jewish sources don’t really say. 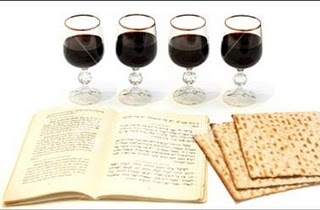 In Jesus and the Jewish Roots of the Eucharist, Pitre states, “One reason may be that the overall structure of the Passover meal seems to have revolved around the drinking of the four cups of wine.” Now let’s examine one by one. The first cup was the “introductory rites” to the Passover meal. The Passover meal begins in the evening, sometime around “nightfall.” The father gathers with his family at a large table and reclines to celebrate the freedom won by God in Egypt. The first cup is mixed with water and wine. After the mixing occurred, the father begins with the formal blessing over the cup. After the blessing, the food is then brought out, which includes unleavened bread, bitter herbs, a bowl of sauce, and the roasted lamb, which is known as “the body” in traditional Jewish sources. Appetizers were also brought out, however, the actual meal had not yet started. The second cup would be mixed, but not drunk. The father would “proclaim” what the Lord did for Israel in Egypt. The son then asks the question – why is this night different from other nights? The son’s question is connected to the drinking of the second cup. The father would then answer by quoting a specific section from the Scriptures (read Deuteronomy 26:5-11). This exchange between the father and the son displays how the Passover meal looks back to the exodus and redemption the Israelites received by God in Egypt. The father then explains the parts of the meal – unleavened bread, bitter herbs, and the lamb. Explaining the significance of the meal was essentially the center of this part of the meal. To express their thanksgiving to God, the family would then sing the Hallel (“praise”) Psalms 113 and 114. The third cup would be mixed and this is where the supper officially begins. The family would finally eat the lamb and the unleavened bread. Because customs change over time, it’s hard to figure how this actually was staged, but it seems that there was a blessing over the bread, there was a serving of a hors d’oeuvre, which consisted of a small morsel of bread, and at the end the main course was eaten. Once the meal was completed, the father recited another blessing over the third cup and it was consumed. The remainder of the Hallel Psalms (115-118) would be sung. Psalms 115-118 are known as the Great Hallel. These psalms may not mean much to us today, although it is important to learn their significance, they were well known to Jesus and his Apostles since they would sing them each year for the Passover. The Hallel Psalms were a “script” for the one offering the “sacrifice of thanksgiving” (Psalm 116). Once Psalm 118 was sung, the fourth cup was drunk. At this point, the meal was finished. An interesting side note is that Jesus would have seen his own fate in these hymns. In context of the Last Supper, we must ask the question – Did Jesus finish the meal and how many cups did they drink? First, Jesus vowed not to drink of “fruit of the vine” until the coming of the kingdom of God. Here he is speaking of the fourth cup. Second, after the third cup, Jesus and Apostles “sing a hymn” (Hallel Psalms) and then “went out,” however nothing was drank. Both Matthew and Mark speak of this in their Gospels. In the end, Jesus makes reference to the fourth cup, but possibly refuses to drink it at the Last Supper. He does not finish the meal…yet! At this point, Jesus and his Apostles make their way to the Garden of Gethsemani (read Matthew 26:36-46). Here we read that Jesus prays three times for the cup that he must drink. The cup (or chalice in some translations) is the fourth cup, the final cup of the Passover meal. 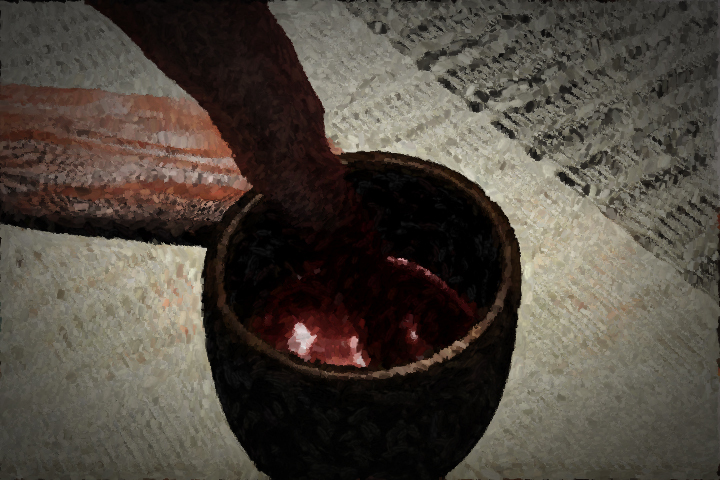 Between the giving of his body at the Last Supper as the sacrifice and one of the cups as his own blood, Jesus classifies his body as the New Passover. Once the meal is over, his blood will be poured out, and Jesus will be dead. He does not finish the meal in the Upper Room because it will finish with his death on the cross. The fourth cup in relation to Jesus’ death on the cross is also known as the Cup of Consummation. Nowhere in the Scriptures do we read that Jesus drinks the final cup on the way to the cross. But when we look at the final moments of the life of Christ on the cross, we notice that he does drink of “the fruit of the vine.” However, in Mark 15:23, he does drink since the wine is filled myrrh, which would have dulled his sufferings. In Matthew 27:48, it states, “a sponge…filled it with vinegar” is lifted up for him to drink. The most overt explanation of this comes from John 19:28, which states that Jesus requests a drink and says, “I thirst.” After drinking of the vinegar given to him, in John 19:30, Jesus says, “It is finished.” When Our Lord speaks these words, he is not referring to his life or his mission, but he is referencing the meal started at the Last Supper. Here on the cross, Jesus finishes the Passover meal, and drinks the fourth cup. For a more detailed explanation of this subject, I would suggest reading Brant Pitre’s book mentioned above. There is also a CD from Lighthouse Media on the subject matter as well. Update March 2016: See also – Was Jesus’ Last Supper Actually a Passover Meal or was it Something Completely New? Hahn, Scott, and James Socías. “The Cup of Consummation.” Understanding the Scriptures: A Complete Course on Bible Study. Woodridge, IL: Midwest Theological Forum, 2005. Print. Pitre, Brant James. Jesus and the Jewish Roots of the Eucharist: Unlocking the Secrets of the Last Supper. New York: Doubleday, 2011. Print. Great post Tom. I must read the book. Thanks for sharing. This is a profound concept Tom. It made me consider the following: The connection between the Last Supper/Crucifixion and the Passover seder meal reminds us that Jesus Christ takes up the oath of the Old Covenant. Noah, Abraham, Moses and David failed to keep the covenant oath with God. The Passover meal was a sign of the Old Covenant. But Jesus Christ – the Word made flesh – takes up and fulfills that Old Covenant once and for all at the Last Supper and Crucifixion. He definitively seals and renews the covenant by offering His very body and blood. So now we know that, despite our failures and sins, if we are united with Jesus Christ in the Supper of the Lamb, we are fulfilling our covenantal duties to God…. Because in the Supper of the Lamb, God himself (in the person of Jesus Christ) swears the final, new covenant oath on our behalf. Also, I think that the rituals of the Old Covenant, such as the Passover meal, included the slaughter of an animal (e.g. lamb) in order to symbolize what would happen if man did not abide by the terms of the covenant (man would be destroyed just like the animal). But the situation is a bit reversed in the New Covenant, is it not? Now Christ fulfills and renews the covenant by sacrificing His very body and blood – by dying. Therefore, in order to keep the New Covenant, we must be destroyed, we must die with Christ so that we may have the ultimate gain – eternal life. This is the opposite of the mechanics of the Old Covenant. The problem with this reconstruction is that it is anachronistic. We don’t know what the Passover seder looked like in the first century. No doubt it was different from that celebrated after the destruction of Jerusalem and the ending of the temple sacrifices in AD 70. 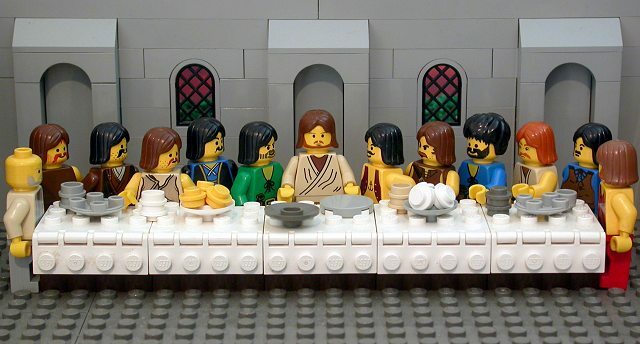 Some scholars (Benedict XVI included) do not think that the “Last Supper” was a Passover meal at all, that — following the clues found in John’s gospel that Friday was the Passover — Jesus celebrated a todah meal in anticipation of his self-offering on the Cross. What was offered to Christ on the cross was vinegar mixed with water, Roman posca (Gk. oxos), not wine. It’s a bit of a linguistic stretch to consider that as one of the cups of wine from the Passover seder. The cup which our Lord asks to be taken from him in Gethsemane refers to the “cup of salvation” mentioned in Ps 23 (“Thou preparest a table before me in the presence of my enemies; thou anointest my head with oil, my cup overflows”) and, especially, Ps 116, one of the Hallel psalms (“The snares of death encompassed me; the pangs of Sheol laid hold on me; I suffered distress and anguish. Then I called on the name of the LORD: ‘O LORD, I beseech thee, save my life!’…I will lift up the cup of salvation and call on the name of the LORD”). 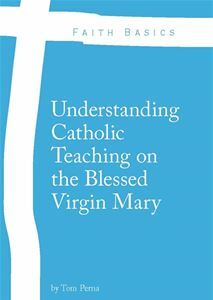 Finally, which Church Fathers ever subscribed to the “fourth cup” theory popularized by Scott Hahn in the 1990s and reworked by Pitre and others more recently? Benedict hypothesized that it was a passover meal, yet a meal without a lamb, such as the Essenes would celebrate. Mark 14:12-15 clearly indicates that the meal Jesus celebrated was a Passover meal. Without the Tree of the Cross, there is no redemption, the gates of heaven will not open and there is no resurrection. The Tree of the Cross is The Tree of Life. The Revelation has been given to you. It is time for us to UNITE THE FAITH! I loved Brand Pitre’s book and would much commend it. It is important to distinguish the drugged wine offered to Jesus before crucifixion with the drink offered to Jesus on the cross on a sponge which is described as wine , wine vinegar and vinegar, (Jn 19:29, Mk 15:36, Mt 27:48, Lk 23: 36) and is likely to have been posca. The Roman army drank posca for 300 years which was sour wine mixed with water flavoured with herbs (wiki) and is presumed by historians as beneficial in killing harmful bacteria in drinking water. The drink offered to the crucified Jesus is likely to have been present as posca for the benefit of the crucifixion party and different from the drugged narcotic ( Mk 15:23 ‘wine drugged with myrrh’ and Mt 27:34 ‘wine to drink mixed with gall’) that Jesus refused at the beginning of the crucifixion. While Roman soldiers used sponges to line helmets as padding they also carried sponges for personal ablutions. The acceptance of the posca by Jesus would have completed the fourth cup of the Passover, thus extending the completion of the New Passover or New Covenant at the point of his death. Hello, I loved this writing on the 4th cup, and how the Feast of Passover is fulfilled into the New Covenant of the Eucharist. However, I would like to point out one small error that I found in reading. In this writing, it is mentioned that in Mark 23, Jesus received the wine before His crucifixion. I believe that this is a typo, as Mark 23 clearly states that Jesus refused the wine before he was on the cross. The author probably knows this. Thanks, God Bless and keep up the good work. Jesus refused the gall, but drank the wine on the cross. The gall would have numbed his pain on the Cross, but he does not drink it. Just before he dies he does drink a wine like substance, which with the Cross itself fulfills the 4th cup. Pingback: 7 Last Words — “I Thirst.” (John 19:28) – Engage. Empower. 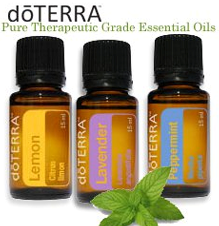 Enliven. Can you please help me how Jesus christ taken their last supper with his disciples…..by cup or cups? I hope the explanation based on holy bible. Thanks and more power. 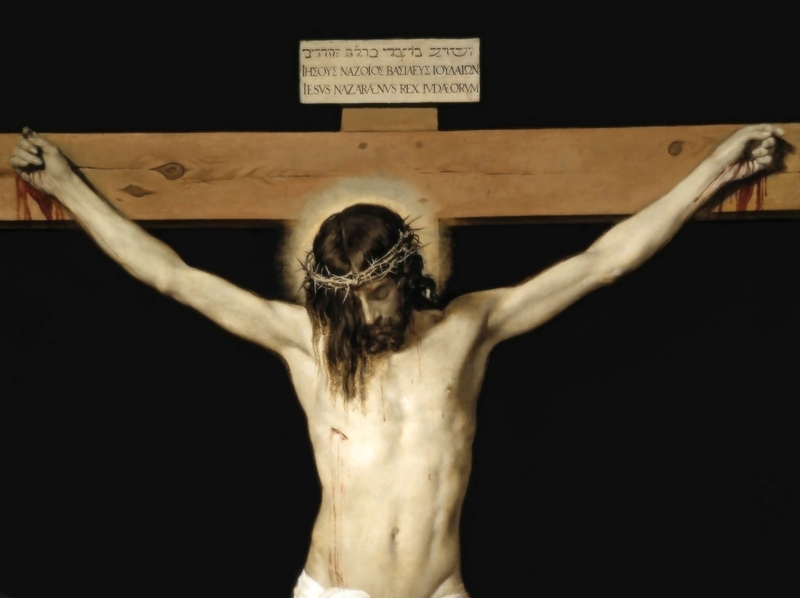 Read the Book – Jesus and the Jewish Roots of the Eucharist.